2017 has been a busy year. There has been a lot of events to fit in to our calendar & we hope you have been able to enjoy them with us. Incredibly, Travel Destinations have even more events planned for next year! 2018 promises to be even bigger and better than ever. Our new brochure is available now and you can download your copy here. 2018 begins in Daytona, Florida with the Rolex 24 at Daytona. 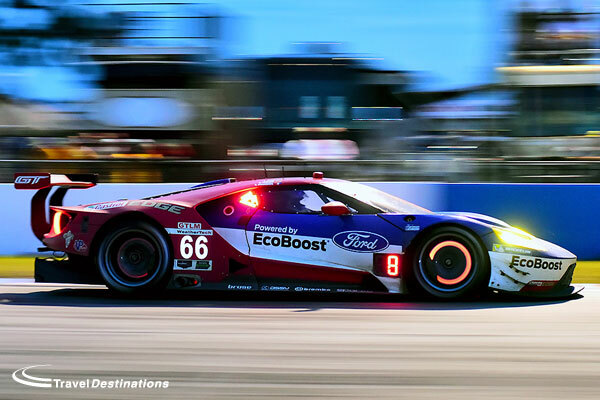 This is the start of the Weathertech Sportscar Championship and is your first chance to see new technology and international drivers take on the banking at this famous circuit. Our hotel on Daytona Beach is the perfect place to stay and enjoy this great event. Continuing out travels in February, we visit Australia for the Bathurst 12 Hours. If you have never visited the Mount Panorama circuit before, then this is a must. We not only have downtown hotels and apartments available for this race, but we include 3 days hospitality so you can enjoy practice, qualifying and the race from the privileged position on the pit-lane roof. We are back in Florida in March for the 12 Hours of Sebring. This is America’s oldest and most prestigious sports car race. In 2019 Sebring will also host a round of the FIA World Endurance Championship “Super season”, but you can also visit in 2018 & stay in our lakeside condos, just a few minutes drive from the circuit. Our European racing season begins at the Nurburgring 24 Hours in May. Around 200 GT & production cars taking on a combination of the F1 circuit and the famous Nordschleife has to be seen to be believed. 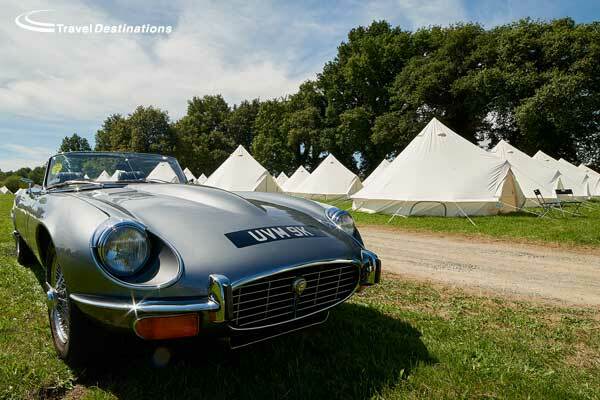 We have a private, track-side camping area, especially for our customers to ensure that you won’t miss a thing. May’s Spa Classic goes from strength to strength and the event now attracts more than 30,000 spectators each year. With a mixture of classic endurance racing, Group C racers and historic touring cars there is enough variety to entertain everyone. We have a selection of nearby hotels and camping available to accommodate everyone, and entertain all our customers in our hospitality suite overlooking Eau Rouge. The Le Mans 24 Hours needs little introduction. Following the withdrawal of Audi and Porsche there is guaranteed to be a new name on the winner’s trophy. Toyota will be back, and this time with an F1 champion behind the wheel. They will be joined by a good number of privateer LMP1s adding to the fun. The ever competitive GTE Pro class sees the return of BMW to take on the might of Ferrari, Ford, Aston Martin, Corvette and Porsche so there a plenty of manufacturers present too. 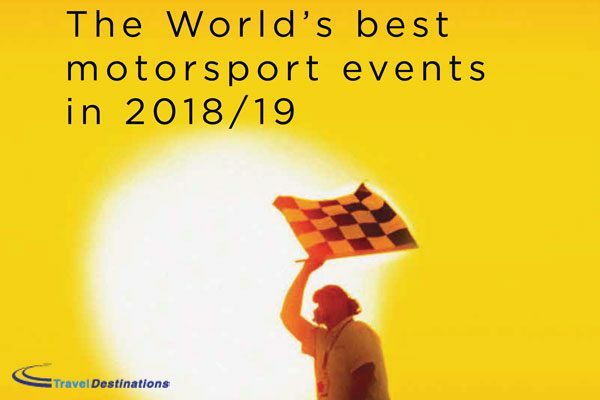 As always Travel Destinations will be offering on-circuit options including our exclusive private trackside campsite at Porsche Curves, our Glamping option (Event Tents) and our pop-up hotel (Flexotel). The pinnacle of historic motorsport is July’s Le Mans Classic. It is unrivaled in its scale and history. The racing only features cars that once raced at Le Mans, from the 1920s through to the 1980s (now including Group C). 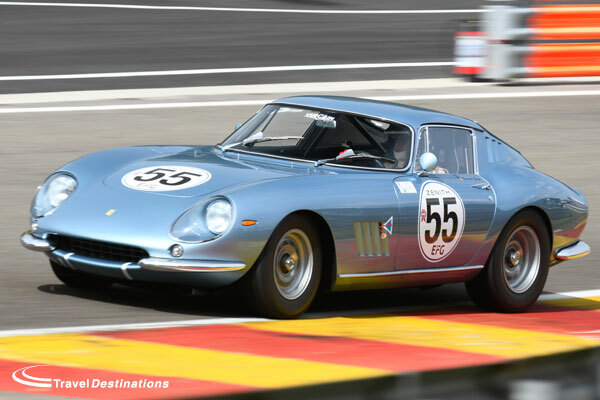 If the on-track spectacle is not enough for you then the gathering of more than 8,000 classic cars on the Bugatti circuit may tempt you away. 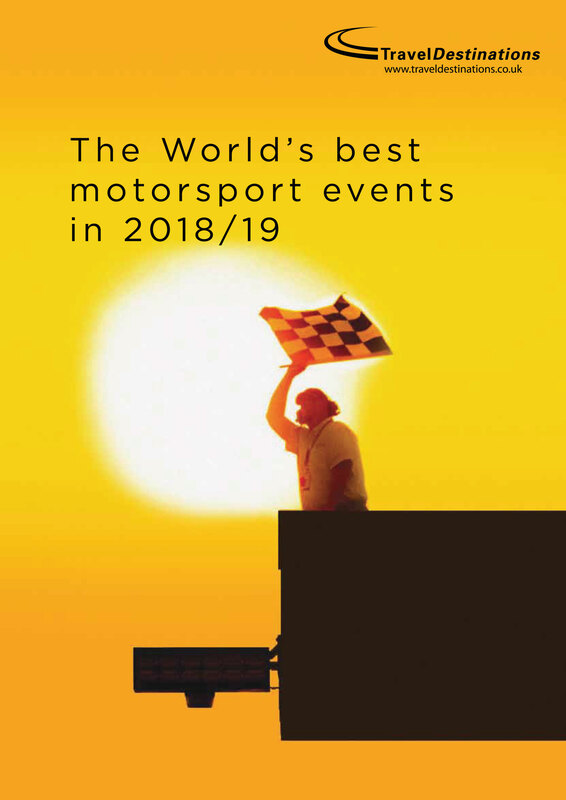 Much like the 24 Hours, Travel Destinations has private track-side camping, glamping and pop-up hotel rooms available at the circuit, as well as hotel rooms, camping and B&B options further afield. Endurance racing also returns in July with the 24 Hours of Spa. Being track-side, watching as Audi, BMW, Aston Martin, Mercedes, Nissan & Bentley all speed through Eau Rouge through the day and the night is a joy to behold. The racing is punctuated with a pop concert and fireworks display above the paddock at night as the cars continue around the track. We have both camping and hotel options for this event enabling you to enjoy the whole spectacle. 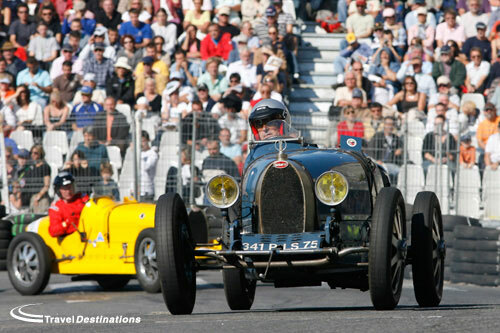 August sees the Nurburgring host the Oldtimers Grand Prix. This historic motor racing weekend, has a mixture of single-seater and sports cars compete around this historic circuit. Wandering the paddock is like going back in time as the mechanics work on this classic machinery. We have trackside camping or a 4 star hotel to choose from when you attend this great event. September is a busy month for classic cars and historic motor racing. The Circuit des Remparts event in Angouleme (South West France) is quite unique. The Sunday of a long weekend of car events, sees a full day of historic racing around the walls of the old town. This tight street circuit is overshadowed by the town’s cathedral and spectators fill the stands at every turn; it is quite a sight and well-worth the drive down to see it all in person. Mallorca classic week is organised by the island’s residents with a focus on classic cars both resident and visiting the island. With the emphasis on the social side, there are gatherings and displays around the island with competitions and scenic drives to some of the most beautiful parts of the Mallorca. It may seem a long way to go, but with ferries taking the strain the driving distances are shortened and you could participate by clocking up less than 1000 miles in your car but stay for two whole weeks. The Spa Six Hours in September has always felt like a racers weekend that spectators have been allowed access to. There are few restrictions on access and teams are always relaxed and happy to chat. There are a variety of grids racing over the weekend, with the highlight being the classic endurance race on Saturday afternoon that continues in to the autumn night. If you like your GT40s, D-Type Jaguars and AC Cobras competing at speed, driven by skilled drivers then this event is perfect for you. We have a range of hotels and camping available within 10 minutes of the track, so you can enjoy it all in comfort. You can secure your place at any of these events now. Reservations are open, but availability is limited, so please call Travel Destinations now, on 0844 873 0203.